EcoHouse Risan is a water-conscious gardener, water is precious, rare in the summer, no rain for months in our Mediterranean-Climate. Camellia japonica ‘Bonomiana‘, dazzlingly pretty features medium-sized flowers with over 80 petals, coloured white to pale pink with red spots, dark green leaves. 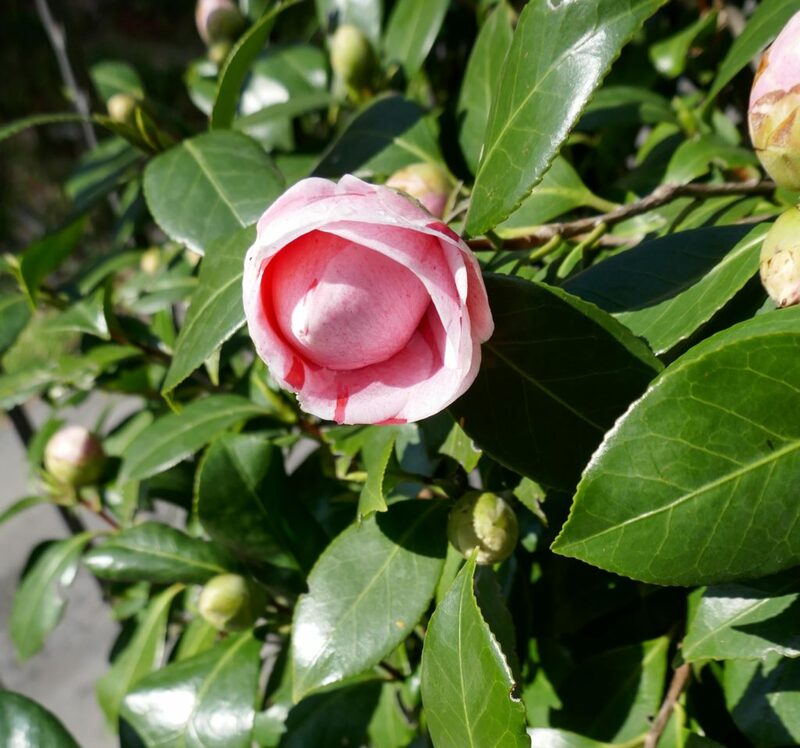 EcoHouse has nursed this Camelia Japonica for 5 years, growing carefully half shade half sun with our own compost. We love this plant as it has grown with us in different areas while we were waiting for building permission and eventually the built of the EcoHouse. This entry was posted in cost-effective, mediterranean gardening, plants, season, spring, water efficiency by Anke. Bookmark the permalink. ← Previous Previous post: February – Gardening Time!